Today while on a break from work, I was searching for still more information regarding my paternal ancestors, the Ketchums. I was very surprised to learn of a hand written letter by major Daniel Ketchum addressed to major Benjamin O’Fallon, United States Indian Agent that is expected to sell for $500 to $800! The letter was written on July 18, 1824 and it was from his post at Fort Atkinson along the Missouri River near Council Bluffs. The letter addresses the actions of Joshua Pilcher who was a member of the American Fur Trading Company (AFTC) and who took part in the U.S. 6th Infantry’s expedition against the Arikara indian tribe of the Nebraska plains. Several hundred opportunistic Sioux warriors joined the expedition as well. This action was in retaliative response to the ambush, robbery, and killing of several trappers of a party under the command of William Ashley of the AFTC. The expedition, led by general Henry Leavenworth, was the very first involvement of US forces against the Plains Indians. Hastily planned, it is historically viewed as a failure. I will write about this expedition in full detail at a later time as Daniel Ketchum played an important role. Here is link to the San Francisco auction house that will be putting the document up for auction. For a few months now I have been hunting for any and all information on the web pertaining to Daniel Ketchum and his two sons William and James. All members of my father’s side of my family and likely the most historically interesting members of my family tree. My research has revealed that they all had lived remarkable lives, yet my family knows so little about them. I must say that I have been pleasantly surprised by the amount of information I have been able to find to this point. I have been searching primarily on the internet which has led me to valuable finds in the possession of numerous historical societies across the country. Some of these locations have digital images of manuscripts and documents that I have been able to have sent to me while others require that I visit in person to view them. The latter will mean trips to far away cities which isn’t a probable undertaking for me in the near future. But I look forward to the opportunity to do so when the opportunity presents itself.. All the research is paying off in terms of tracing century old footsteps and events my ancestors witnessed or participated in. It has also ruled out a couple of mistaken connections I had previously made while at the same time, uncovering new clues and associations. Just when I think I have exhausted a lead, something new appears and spurs me on! Another great discovery for me has been the boundless information one can find searching within GoogleBooks. The abundance of historical literature available is truly amazing! I have now arrived at the point where I feel I have collected so much information, I need to organize it somehow and keep the sources of that information handy in order to present a clear and substantiated account of their lives and the events in which they took part. I am still searching for a good way to accomplish this. I really like Robert Ragan, The Genealogy Guy’s suggestions which he has posted on his YouTube channel. if you have an interest in genealogy, this may interest you. I know there must be more info to unearth out there. So, I have no choice but to keep looking! Since my artistic pursuits are temporarily on hold, I have been spending time “digging” deep into the corners of the internet in search of any and all information I can uncover regarding the military careers of my ggg-grandfather, William S. Ketchum, and his father, Daniel Ketchum. So very pleased was I to discover that copies of a handwritten and somewhat satirical newspaper published in 1849-1850 were catalogued on microfilm by the Wyoming Historical Society in Cheyenne, Wyoming. The originals that exist are in fair to poor condition and hard to read. Dr. Roy Atwood has been collecting examples of handwritten newpapers and journals and posting them on his blog entitled ‘The Handwritten Newspapers Project.’ By pure chance I stumbled upon it and saw that he had recently posted a copy of the ‘Chugg Water Journal’ [CWJ] which was written primarily by four officers of the 6th Infantry, including W.S. Ketchum, stationed at Fort Laramie in Wyoming. The writings seem to be primarily of the “inside joke” variety and may not be very interesting to the casual observer. The CWJ was a way to pass the time out on a frontier outpost which afforded little in the way of entertainment and information. Since there was no printing press at the fort, each edition was written by hand. Several copies were made for distribution to subscribers at the post including officers, officer’s wives, infantrymen, and even the laundress, which were also all painstakenly written by hand. The CWJ was never really intended to be read outside the post. Many aliases are used to hide the identities of real personalities. Dr. Atwood was gracious enough to provide me with transcripts of three of the Chugg Water Journals that he had possession of. I will be reading them in an attempt to put some real names to the Aliases. On the righthand side and below the fold of this edition of the CWJ it is possible to see an article authored by my ggg-grandfather, W.S. Ketchum, 6th Infantry. Here is a link to the Handwritten Newspapers Project and the entry containg the Chugg Water Journal. Dr. Atwood adds to what I have described above. I continue to search for more information like this to assemble into a book I plan to write in the near future. The Library of Congress also has some copies of the CWJ that one day I hope to view in person. My thanks go out to Dr. Roy Atwood for his help in getting me this information. Saturday May 28th I took a three hour drive up to Perrysburg, Ohio to visit historic Fort Meigs on the eastern side of the Maumee River near Lake Erie. The fort was hosting a weekend of re-enactments of battles between the British and indians against US Army and volunteer militia that took place at the fort and it’s surroundings nearly 200 years ago. 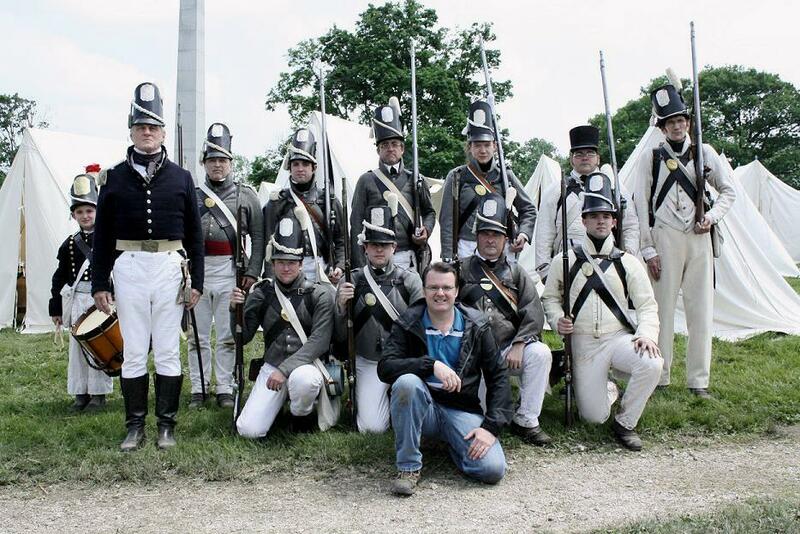 Participating in the re-enactments was a group of dedicated history minded individuals who portray the US Army’s 25th Regiment of Infantry who fought with distinction in the Niagara Frontier during the War of 1812. The 25th had never fought at Fort Meigs, but the re-enactors were more than willing to add their numbers to the event. The 25th is of particular interest to me since it is the regiment in which my gggg-grandfather, captain Daniel Ketchum served. Much to my surprise he lives on in character being portrayed by a member of the 25th Infantry Living History Organization. I followed the group’s day long activities around Fort Meigs as they drilled and organized for the mock battle that highlighted the afternoon. After watching the battle re-enactment and snapping off over 200 photos on the digital camera, I followed the 25th back to their camp. After a short debriefing by capt. Ketchum and sgt. Balza, I was introduced the members who were all extremely nice. I was introduced to the man acting as my ancestor which was on one hand awkward, and on the other hand seemed to really bring history to life for me. Sgt. Balza was nice enough to gather the group together for a portrait with me. Afterwards, he had me stand at the end of the line of men to take a ceremonial daily ration of whiskey and to cheer Huzzah! I had a great time and was sad I had to leave for the drive home. It has been a few weeks since I first started my research into my family’s genealogy in efforts to find out more about William Scott Ketchum (1813-1871). I have been able to collect such a unexpetedly large amount of information on him just searching on the internet alone. 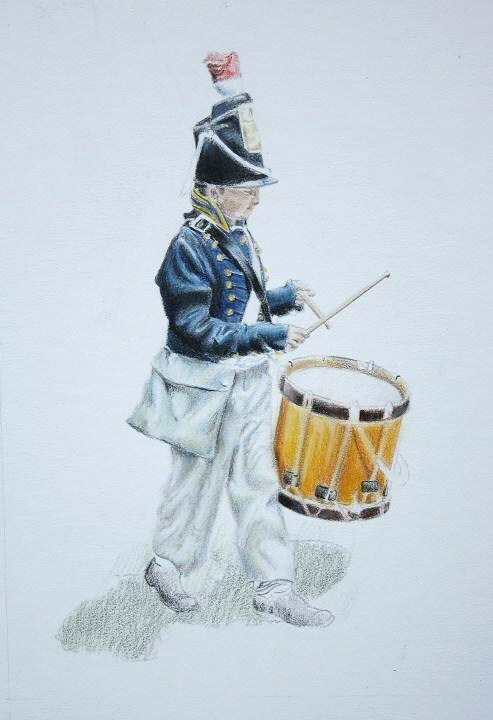 It is truly amazing to me what historical places and events he is associated as well as the vast distances he had travelled while in the service of the US Army back in the mid 1800s. He really saw much of America first hand before the age of the automobile, flight, and even the age of rail. I have uncovered so many references to him and writings by him that I have made the decision to connect all of them together along with a narrative in book form. I am doing this primarily for the family, but I am certain that history buffs will find it interesting as well. I plan on giving some historical background to the significant military campaigns and expeditions that he took part in to give what I have found some context and relevance to America’s 19th Century story of westward expansion and civil conflict. WSK lived in one exciting period of American history and I will do my best to describe it. I imagine this effort will take me a few more years of hard work to complete. Currently, I am working out the book’s outline and a timeline of events to guide the story. Then I will be conducting more research on WSK”s early days. I also plan on creating some of the illustrations for the book. I have always wanted to illustrate a book. This project will give me the perfect reason to do it! I can’t wait to get started on that portion of the endeavor. But for now, It’s research, research, and research some more! A family ancestor with an interesting past. In the coming weeks I will be adding a page on this blog about an ancestor of mine from my father’s side of the family named William Scott Ketchum. He lived from 1813 to 1871. Mr. Ketchum was a West Point graduate and camp commander of Fort Laramie in the 1850s. 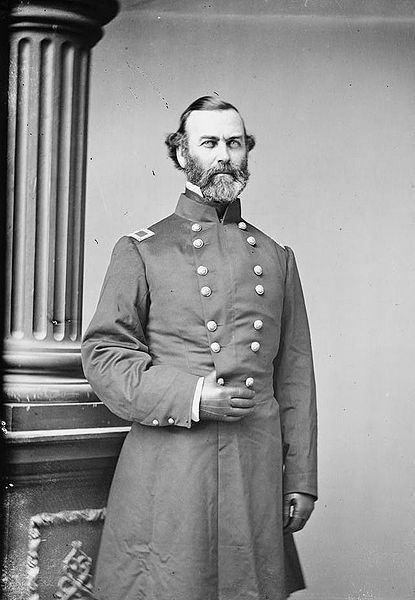 His military career was one of distinguished service, eventually attaining the rank of Brigadier General. But it is the mysterious circumstances surrounding his death that are most intriguing. The story surrounding these circumstances and the litigation that ensued made national headlines in the newspapers of the era. I will be posting more details as they become available. Check back soon!